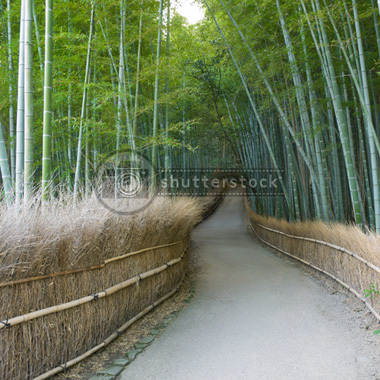 Arashiyama (嵐山) is a famous tourist district on the western outskirts of Kyoto, Japan. It is well known for the wooden bridge crossing Ōi River (大堰川, Ōi-gawa) with forested Mount Arashiyama in the background. At the bridge Ōi River changes name, and becomes Katsura River (桂川, Katsura-gawa). Other key sites of interest in Arashiyama are Tenryuji Temple (Tenryū-ji), a leading Zen Buddhist temple, and the famous bamboo grove nearby. 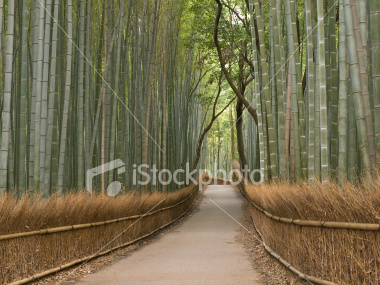 Bamboo grove in Arashiyama in Kyoto, Japan near the famous Tenryu-ji temple. Tenryuji is a Zen Buddhist temple which means “temple of the heavenly dragon” and is a World Cultural Heritage Site. 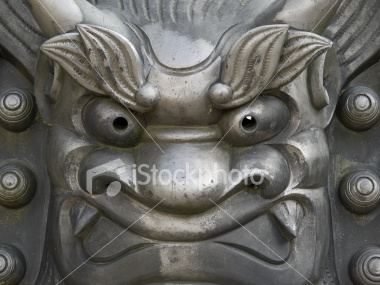 Close-up of cast iron metal face statue outside Tenryu-ji temple in Arashiyama in Kyoto, Japan. 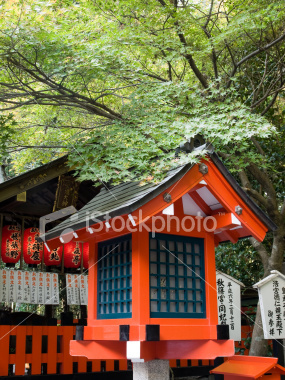 Orange coloured shrine lantern with a maple tree branch hanging over it and the shrine in the background. 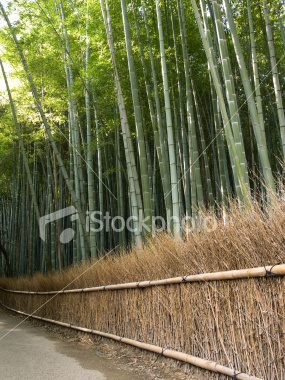 Bamboo grove behind a traditional grass fence. 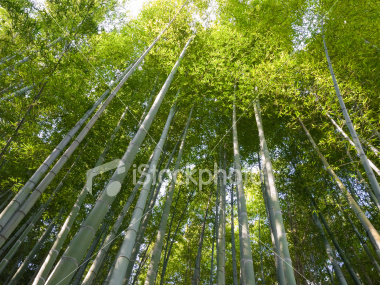 Dense bamboo grove canopy in Arashiyama in Kyoto, Japan near the famous Tenryu-ji temple.